Your crewed charter includes many services and experiences, some are outlined below with a few additional local activities that we can arrange for you. "The only sounds are your breath and your heartbeat. The reef is like a thousand jewels sparkling in front of you." Are known around the world while diving with the whales, and crystal clear water all add up to a once in a lifetime snorkeling experience. 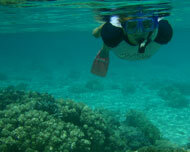 We can provide complete snorkeling gear for your stay aboard. However, we recommend guests bring their own preferred snorkel and mask gear for greater comfort. 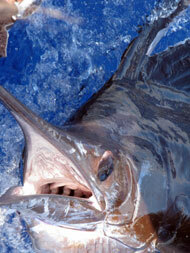 We can arrange dive trips that will fulfill the most avid diver’s expectations. The dive boats pick the diver up straight from Mariah saving an hour travel time (each direction) and energy normally spent in transfers and waiting. Tonga is famous for her whales and lucky to have hundreds of whales visit the country from June through November every year. Tonga is also one of the only countries in the world that allows swimming with the whales, in conjunction with licensed whale watching and swim operators. Come join us for a once in a lifetime up close and personal experience. Occasionally even playfully surf the incoming swell. Humpback whales visit Tonga from May-November. 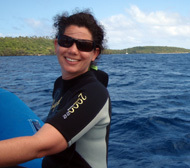 We can help book day adventures or even help set up a vacation on the only overnight whale watching boat in Tonga. That's right, book up to six passengers to spend a week communing with the humpback whale population. Sleeping near the pods and hearing whalesong reverberating through the hull at night, viewing the first whales of the day while breakfasting on deck, and possibly finding some calm friendly whales for an in-the-water encounter. Note - It is very common for the whales to visit our remotely anchored boat early in the morning, making slow lazy circles and blowing directly onto our decks. From Tonga island this is a wonderful sight. From our deck the humpback whale watching is outstanding. We carry two double inflatable kayaks onboard and up to four more hard kayaks can be arranged from our shore base. Have a paddle around the surrounding islands to silently observe the local sea life. We can guide you or take a handheld VHF radio and venture out on your own safe in the knowledge that our team is on standby with the large inflatable. 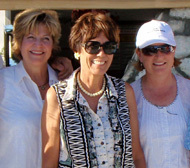 Join us for the Friday night yacht races from Aug-October every year. 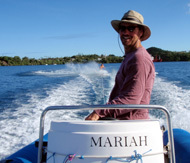 Mariah is a magnificent vessel to sail. Her large, full batten main sail with all controls from the cockpit add to the fun. Her two deep lee boards makes the Catana 582 sail to weather like no other cat.The big roller furling reacher and blade staysail make a perfect combination for round the buoy sailing. A thirty year tradition in Vava’u, yachts from around the world compete in a friendly, but serious race of skill and daring. Feel free to race the largest catamaran in the Tonga, or we can arrange crew positions on any of the many international cruising yachts. After the race the local yacht club hosts award ceremonies where the tales of heroism and valor are relived over a local beer. 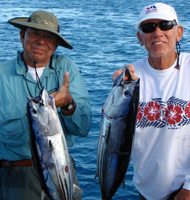 We realize that fishing charters are often less interesting to the ladies, but they would still like to enjoy the family vacation. Luckily our Catana 582 has Allison Thompson as co-captain. And other activities can be arranged for the women while the men are fishing. Leaving you free time for relaxing and maybe even a moment for a romantic boating honeymoon. Tonga is a supreme Trekking destination. 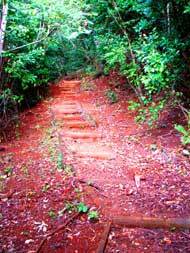 The mild climate, safe friendly people, bird life and lack of craggy mountains makes Tonga a pleasure to hike. Mt Talau National Park is just one of the many opportunities in Tonga. Mt Talau National Park is located on the tip of a raised limestone peninsula on Uta Vava'u, the main island of the Vava'u archipelago. Allow your crew to lead the way or simply take a lunch repaired onboard. Church-Tongan's are know for their church services. Attend a local service and experience the rich choir sounds. 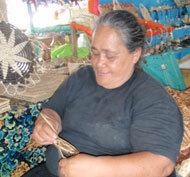 Local villages - Tonga is an island world. The main travel is by boat and the local villages are visited by water. Allow us to bring you to some of the local villages to experience the untouched, unvarnished Tongan culture. Geocaching Tonga is fast becoming a new adventure. We are laying out caches over the Vava'u group. Bring your handheld GPS and follow the cache deposits to some of the most beautiful locations and scenic views over the complete archipelago. "Tonga is home to 74 bird species"
Vava’u is known for its many birds and the most comfortable way to view the plethora of varieties through the islands is by boat, shore excursions, and kayaks. Come take a trip with us to explore the great variety of undisturbed wildlife. Great Frigates circle high above. Tonga’s migrant shore birds include the Bristle-thighed Curlew with its distinctive morning calls echoing across the water. 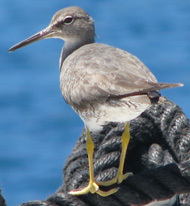 Don’t miss the Wandering Tattler, or the Ruddy Turnstone. White-faced heron arriving in 1998 from New Zealand. The Tongan Megapode is known only in Niafu and lays its eggs in warm soil near volcanic ducts taking advantage of volcanic heat to incubate their eggs. Red Shining Parrots may be seen in the Tolo forest, and for those with a keen eye the Spotless Crake can be seen. 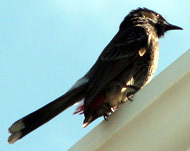 Land birds are local favorites with rich colors and distinctive calls. Many-colored Fruit Dove may be photographed feeding on local figs and has a distinctive ‘koo-koo-koo-ko-ko-kokokoko’. Flowering coconuts attract the Blue-crowned Lory with it’s rich red and black underbelly. 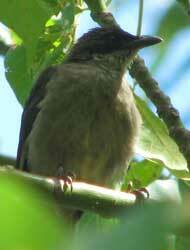 The rare Tongan Whistler is confined to a few islands in the Vava’u group directly next to our base camp. For those lucky enough to see the White-collared Kingfisher zooming through the air picking off insects or diving for small lizards near the reefs the day will be especially bright. Private local guides can be arranged, or your birding group may bring a seventh person who sleeps in the small, but complete “sailors cabin”. "Since the Oceania Surfing Cup was held in Tonga two years ago, the word is out about the great surfing here ... The Vava’u group of islands in the Kingdom of Tonga offers a unique surf destination for those who are searching for a place where surfing is still an adventure!" 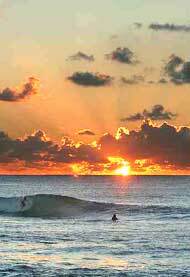 When the conditions are right Tonga is known for excellent surfing on remote breaks far from the crowds. Let us take you on a safe, relaxing, journey onto uncrowned surf destinations. Our Catana 582 is large enough to carry a full quiver of boards. Surf the day and enjoy dinners by our chef in the evening. We can stand off in our large RIB dingy to ferry you back and forth to your luxury boat any time you get tired or the swells begin to lay down. 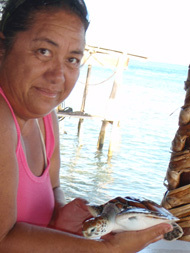 Tonga has a large population of sea turtles. Olive ridley turtles show their large protective shells. Turtles are reptiles that have lungs for breathing and four strong paddle-like flippers that are used for propulsion in the water. The flippers are also used to haul themselves up the beach to dig a nest to lay their eggs. This nocturnal event can be witnessed on the beaches with proper care. Bring your kite and board. Tonga is the perfect location for beginners/intermediate riders. Let us bring your group to the perfect spots. The southern hemisphere and Polynesia in general have more stars and more constellations than the Northern hemisphere. Have a lie in the forward trampolines wrapped up snug and gaze at the clear tropical sky. Use one of the many star books onboard to help locate and identify the new constellations. Keep a careful watch for the roaming satellites and many shooting stars.